Do you represent a Mississippi State Government Agency and wondering how you should archive all your web and social media content? Are you trying to determine what you need to do both from a legal and a technical point of view? Here’s a guide to the different Laws and processes you should follow. 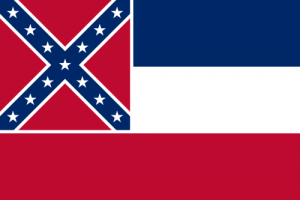 What Laws govern Records Management in the State of Mississippi? “Mississippi Public Records Act of 1983” and Mississippi Open Meetings Laws govern open records in the State of Mississippi. Providing archiving of and access to public records is a duty of each public body and automation of public records must not erode the right of access to those records. Do Mississippi State Records Laws include Website and Social Media content? Yes, they do. NARA state that there is a “Public expectation that all web content is both permanently valuable and accessible” – and so social media and web records are subject to these standards as well as the relevant metadata being pertinent to these laws. “Public records” in Mississippi legislation shall mean “all books, records, papers, accounts…recordings or reproductions thereof, and any other documentary materials, regardless of physical form or characteristics, having been used, being in use, or prepared, possessed or retained for use in the conduct, transaction or performance of any business, transaction, work, duty or function of any public body, or required to be maintained by any public body”. Given the broad scope of this legislation, “public body” subject to Mississippi Public Records Law includes “any department, bureau, division, council, commission, committee, subcommittee, board, agency … and any other entity created by the Constitution or by law, executive order, ordinance or resolution”. The term “entity” shall also not be construed to include individuals employed by a public body or any appointed or elected public official. As each agency increases its use of and dependence on electronic record keeping, each agency must ensure reasonable access to records electronically maintained, subject to the rules of records retention. Web sites must be retained in their original format: HTML, CSS, PDF etc. A public body shall provide a copy of the record in the format requested if the public body maintains the record in that format. How can we transfer website archives made with PageFreezer to the Mississippi State Digital Archives? PageFreezer exports all data on request in the original file format including the required metadata. This data set can be transferred by FTP or by other means to the Mississippi State or Agency Digital Archives.